TL;DR – Finally, this one goes out to all the tea lovers. If you appreciate tea and drink it almost every day like I do, then you should definitely continue reading on. There’s been a lot of articles written on the best coffee places and with little coverage on specialised tea places in Singapore. 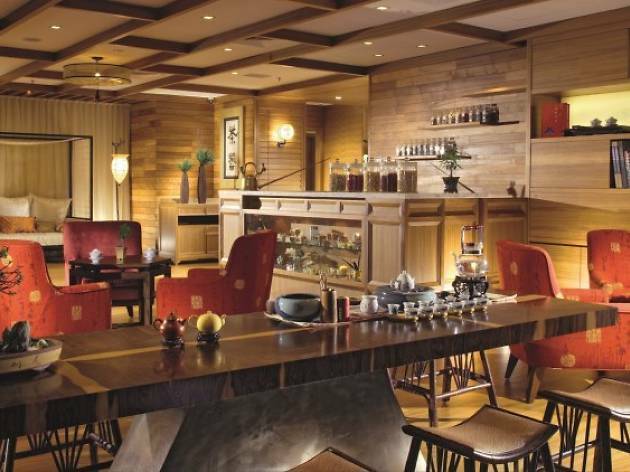 So here are 5 tea salons worth sipping and spending your precious tea-time at. You can find the TWG Tea Garden & Boutique at The Shoppes inside of Marina Bay Sands. TWG boasts one of the largest tea collections in the world with more than 800 varieties of tea blends and exclusive combinations sourced from different tea-producing countries. Entering the TWG store would probably feel like how Charlie felt as he entered Willy Wonka’s Chocolate Factory, you’ll be presented a whimsical display of TWG’s trademark giant yellow tea canisters, colourful boxes of tea (loose teas, packaged teas, iced tea bags, haute couture and other tea collections), elegant macarons, tea-infused delicacies, a myriad of fascinating tea accessories and even fragrant tea-scented candles! Tea is pretty much the center-piece and incorporated into everything at TWG – from its gastronomic dishes, exquisite desserts, store aesthetics and tea accessories. This place is definitely every tea lover’s wonderland! The 1872 Clipper Tea Co has its own flagship store and tea bar located in ION Orchard which has a huge range of iced teas, hot teas, tea ware and tea-infused desserts available. For people who enjoy cheap thrills and appreciate creative marketing gimmicks, the 100% non-alcoholic, pure single-origin Ceylon black cold brewed teas are dispensed through beer taps which creates the illusion of a nice icy cold draft beer being served. They also have a fine selection of hot tea blends which is brewed using the majestic-looking Alpha Dominche Steampunk machine which is said to perfectly brew tea every single time. If you’re thinking of buying some tea to take home to sip on with some of their tea-infused choux cream puffs or lemon yuzu eclairs, then check out the store where they sell the essential tea flavours (Earl Grey, English Breakfast, Assam Chai) to herbal (Lemongrass, Ginger, Peppermint) and tropical (Passion Fruit, Peach Breeze) ones. They also whip up refreshing tea-mocktails like the Singapore Sling and Sangria that will quench your thirst, but won’t give you a hangover for the rest of your day! READ MORE: Huge fan of sashimi? Then you've got to check out this affordable and yummy DIY kaisen don! 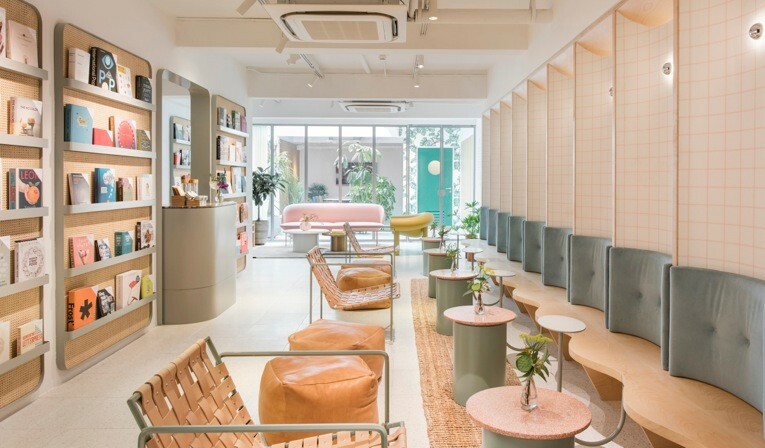 Looksee Looksee is a reading room and tea salon located on Beach Road which is a stone’s throw away from the iconically hipster Haji Lane. It is a pretty cool spot to check out regardless of whether you’re looking for cozy corner to work on some writing, to finish your favourite book or simply to catch up with your friends over nice cup of tea. At first glance, Looksee Looksee doesn’t exactly look like your typical cafe because the interior layout of the place gives off a really homey-living room vibe. The tea salon features specialty, handcrafted tea with unique flavours like their Caramel Macchiato Oolong Tea, Chardonnay Tea and Rose Moscato Tea along with many others, from a local company called A.muse Projects. The place even has an interesting concept of a monthly tea pairing menu whereby different variations of tea blends are recommended and paired with a marmalade flavour that compliments the tea. If you reckon that you’re more of an oriental tea kinda person, then maybe you should check out Tea Chapter which is Singapore’s largest tea house that serves a wide selection of premium Taiwanese and Chinese teas. At Tea Chapter, you will first pick a blend of tea off the menu which has been systematically categorised according to whether it is an Oolong Tea (Tie Guan Yin), Green Tea (Top Grade Dragon Well), Red Tea (Hong Guan Yin), Black Tea (Pu’er), White Tea (White Peony) or Floral Tea (Osmanthus Tea). You will then be provided with some hot water, utensils used in a Chinese tea ceremony and briefed on tea brewing techniques by one of their well-trained staff. No worries if you’re feeling slightly peckish, cause there are light bites like steamed buns, butter cookies, tea eggs, lychee tea jelly or oolong sweet potato that you can order. If you’re lucky you might even be seated in the same seat at Queen Elizabeth II and Prince Philip who sipped on Chinese tea in 1989! The Tian Fu Tea Room is located within the premises of Si Chuan Dou Hua restaurant at Parkroyal on Kitchener Road, which offers the most exquisite selection of over 30 variations of fine Chinese tea (White Peony, Pu’er, Long Jing or Junshan Silver Needle etc). 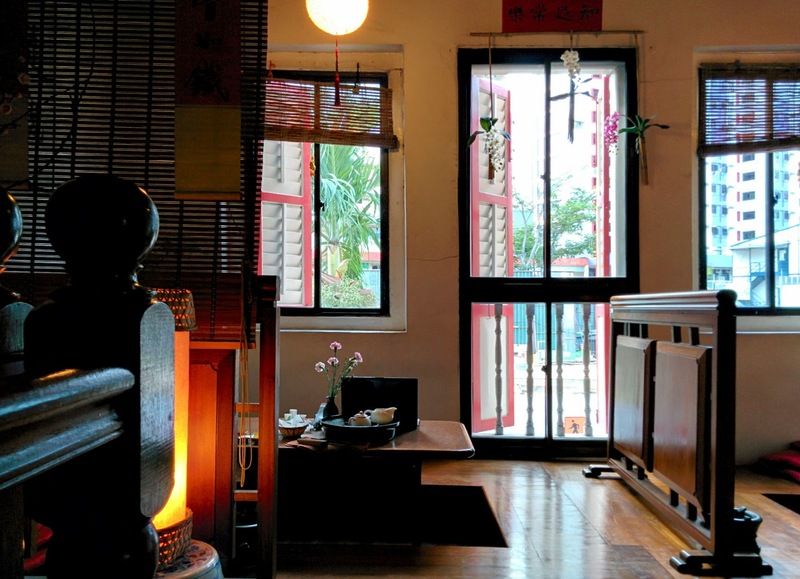 The elegantly-tranquil environment at Tian Fu Tea Room allows people to appreciate the unique flavours of each region’s brew, additionally also getting a taste of traditional Chinese culture through the demonstration of traditional tea brewing and explanation of the tea history and culture by one of their highly experienced tea experts. You can order some ala carte dishes or dim sum from the restaurant to pair with your tea. You could also purchase some gourmet tea leaves, premium tea gift sets, delicate tea accessories or a tea pot set to take home at their store. 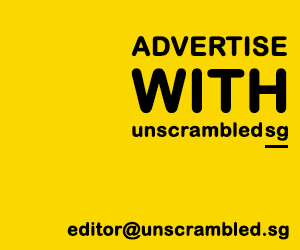 Next PostWill we see a Budget which spends more than what we have? Food & Travel Writer. I eat, dream & breathe food. Passionate about the South East Asian Cuisine & Culture.